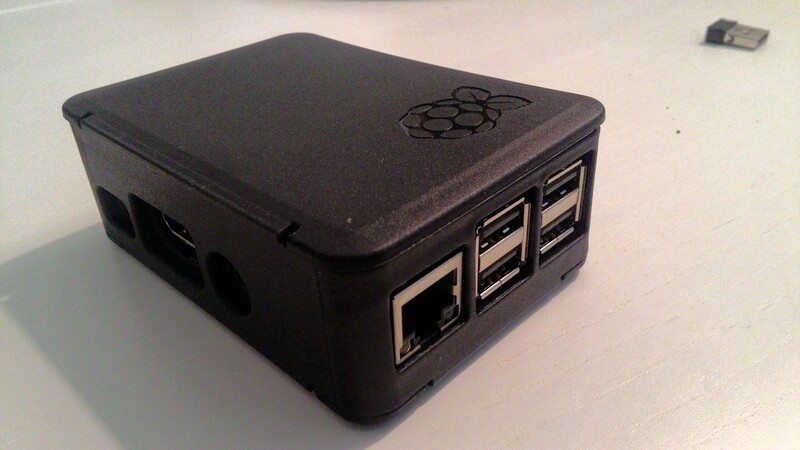 Raspberry has been one of the greatest revolutions of modern computing. It sold over 5 million units since 2015. 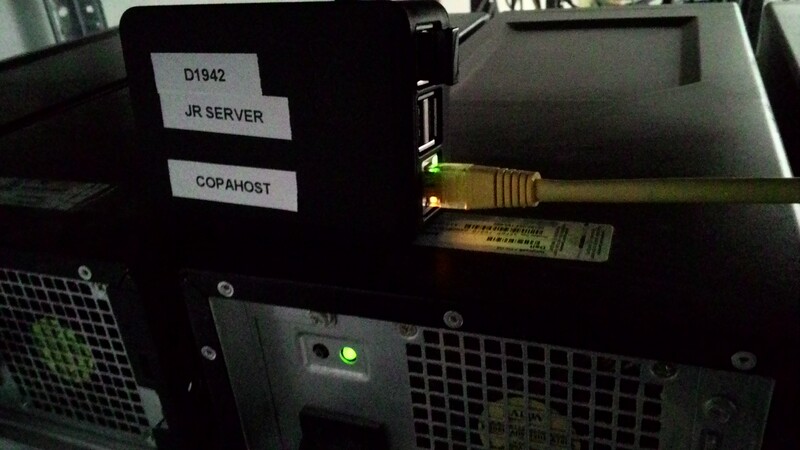 Most of the people use it as a media centre, video games emulator console, music player, advertising outdoors… And now Copahost thought: why not using it as a cheap dedicated server? We used one stock Raspberry Pi 3 B (49€), with 1GB of RAM and a 1.2GHz 64-bit quad-core ARM Cortex-A53 CPU. The storage is one 32GB Adata Class 10 MicroSD card (9€). This Cortex-A53 is 10 times faster than the original Raspberry 1 CPU. That’s a huge improvement. We installed Raspbian Jessie on it. By default, Raspbian will partition the SD card only using a small partition. We must enter raspi-config, in order to expand the filesystem to use all the available space in the SD card. And then simply select “Expand Filesystem” and hit enter. Note: you have to reboot it so that changes take effect. We prepared a standard and popular environment, similar to a dedicated server. Installed and configured Apache 2, PHP 5 and MySQL 5.6. 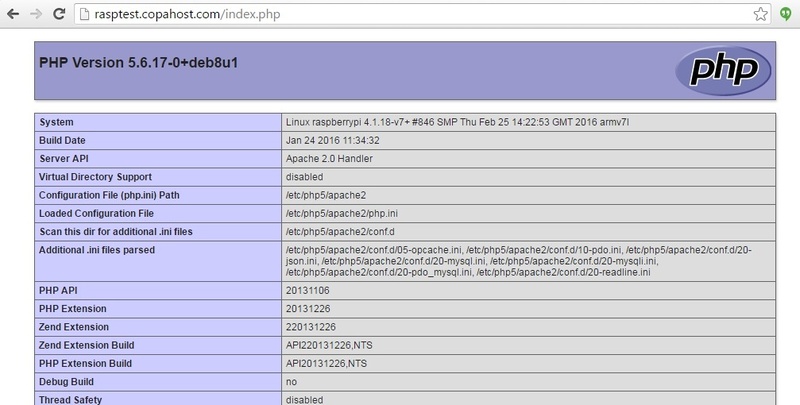 Raspberry was set up to run a WordPress website as a test. We made a stress test in the web server, to check what was its limit. We performed 50 concurrent and sequential connections to it, using curl. The result was amazing. It was pretty stable with up to 35 connections, and still worked fine with 50 simultaneous connections! Of course we know Raspberry have a simple CPU, compatible with its price. 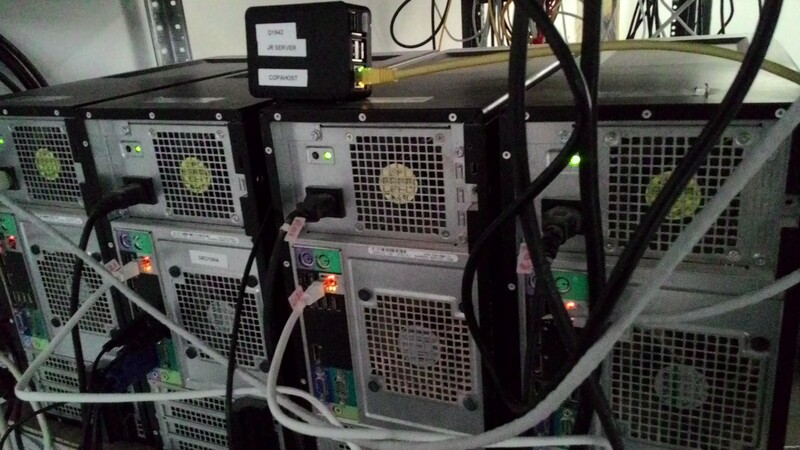 So we put an old dedicated server together and tested both of them with sysbench for linux. In Sysbench we got a score of 40.23s in E2180 versus 954.90s in Raspberry Pi 3. The lower, the better. The performance of the Raspberry Pi 3 may be a bit disappointing if compared with a standard dedicated server. In other words, this CPU is 23 times slower than a standard Pentium Dual Core. 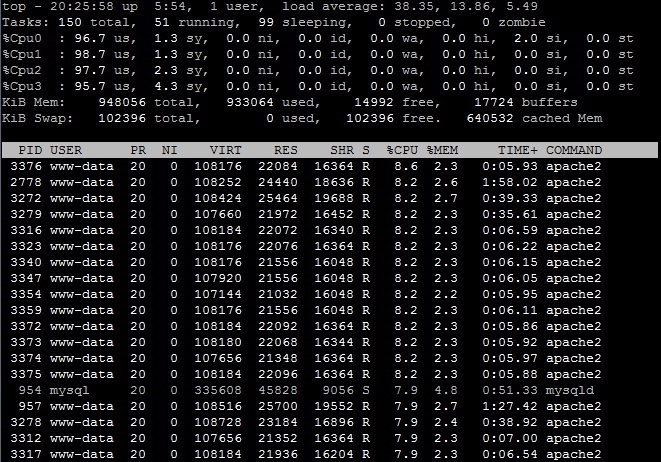 Conclusion: is it possible to run Raspberry Pi as a dedicated server in production? 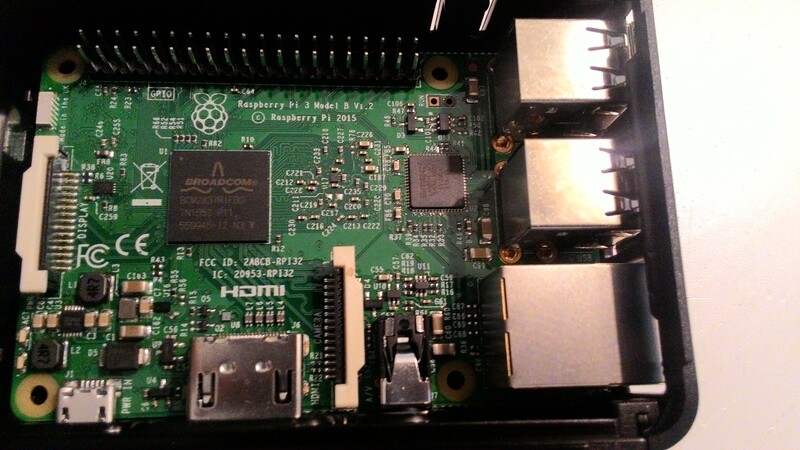 The Cortex-A5 CPU, present in Raspberry 3, is 10 times faster than Raspberry Pi 2 CPU. Using it to host a simple site with a simple MySQL database works perfectly. 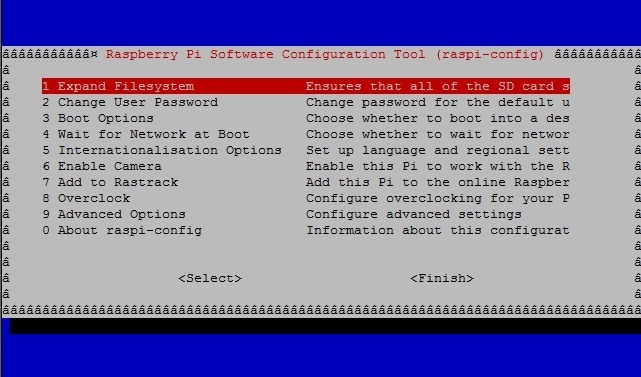 You can consider using a Raspberry dedicated server for simple operations. As you populate a MySQL database with many results or install some WordPress plugins, the performance may be suffering a bit. For those who need a cheap but a powerful server, the best option is still a VPS Server. In the next versions, Raspberry should be more competitive and able to handle more and more crowded websites. Copahost hope the “Junior server” will grow and be a competitive piece of hardware within a few years. Great read. How is the pi3’s temperature when under load for a http server? To be honest, we are not sure. But from our feeling, when we did the test, it wasn’t anything to worry about.